The higher the expectations, the bigger the disappointment and boy, did some of these let us down bad! 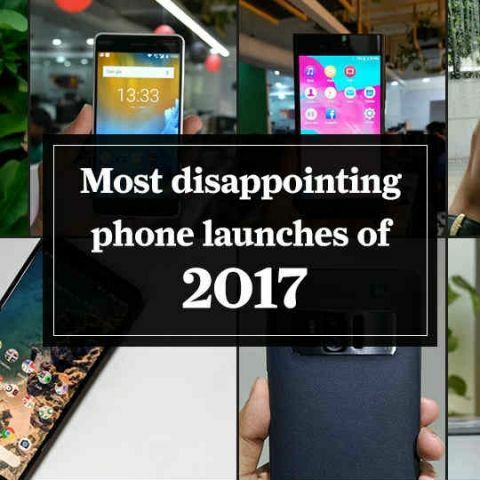 2017 was the year when smartphones started to dazzle again. After a long period of incremental changes, this year brought a whole lot of new features to phones across all price points. From premium flagships sporting brilliant displays to day-long batteries in entry-level phones, companies pulled a plethora of tricks out of their bags to lure buyers. Not surprisingly, our expectations from smartphone makers also hit an all-time high and while some proved to be straight-on futuristic and useful, others didn’t fare as well. Surely the unlikeliest smartphone to feature in this list, but this year, Apple really did give us reason to include an iPhone in this list. Apple shook things up this year by launching not one, but three iPhones including the futuristic iPhone X. So what’s new in the cheaper iPhone 8? Apart from wireless charging, nothing much. The iPhone 8 and the felt like safety-first business decisions where Apple didn’t want to be bold and visionary. It isn't a failure by any means and will still ensure people will accept the upgrade. There’s the usual bump in processor speeds and display quality, but apart from that, there aren’t anything significantly new in the new iPhone 8. It seems Apple reserved all the new things for the most expensive iPhone X. 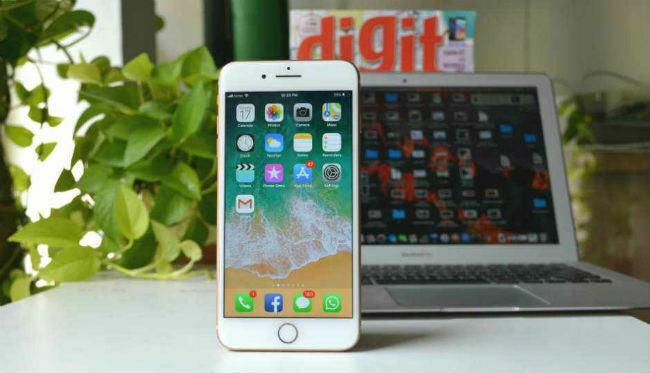 The iPhone 8 is a minor incremental upgrade to its predecessor which although will offer enough for an iPhone user to pay up, but nothing new whatsoever to bring new adopters to Apple’s walled garden. So how did the best Android phone out there right now feature in this list? Because it has the worst display among all. 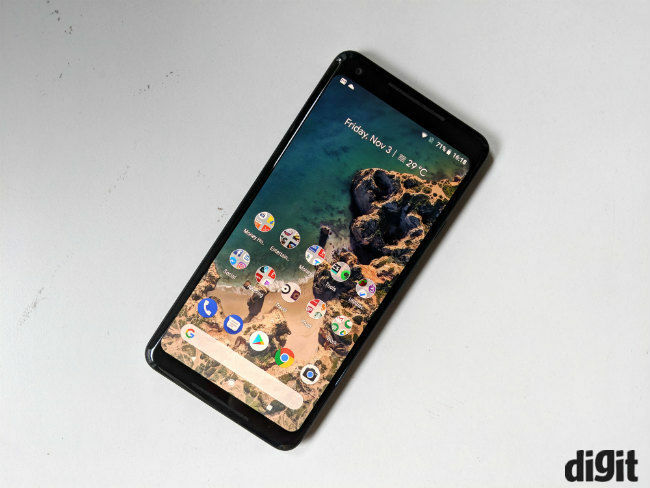 Google introduced the Pixel lineup of phones last year to demonstrate the best Android has to offer and in its second attempt (review), Google somehow lost the plot to making its flagship smartphone an overall all-rounder. Google took care of the performance with the latest Snapdragon 835 chipset tuned to sing. It took care of the camera by giving users the best smartphone camera depending largely on artificial intelligence and machine learning. Google also played to the trends by offering an 18:9 aspect ratio, but what it failed to offer was a decent, reliable display. 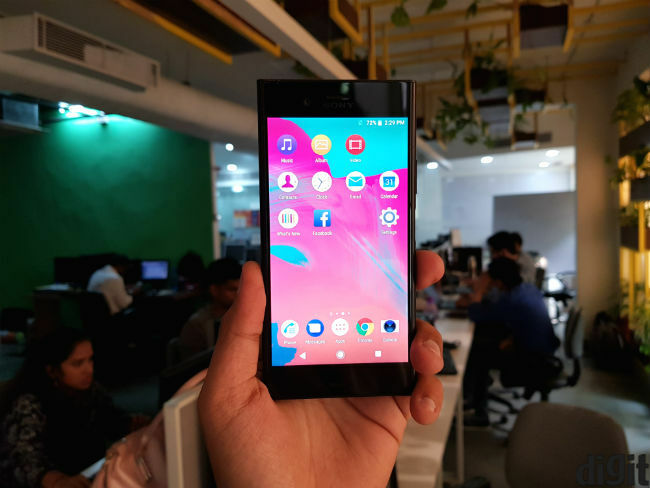 Right after the phone launched, complaints regarding poor viewing angles, instances of screen burn-in, and an overall washed out and dull screen. That’s not usually the problems you expect to face with a flagship phone that costs Rs 73,000. Sony’s tirades to break into the mainstream flagship smartphone market has been commendable, if not a bit futile. The company stuck to its Omnivision design this year as well meaning its phones looked the same as last year, and the year before, and the year before that. On top of that, Sony’s most powerful device this year, the Xperia XZ (review) promises a lot but fails to deliver. It’s 4K display is a battery guzzler and it makes little difference in the 5.5-inch panel. There are also noticeable heating issues with the phone and the 960fps slo-mo recording is more of a gimmick. But perhaps the most disappointing of all is the battery life of the phone. The Xperia XZ drains quickly and needs to be charged twice a day to get a full 24-hour usage, making it the flagship with the poorest battery this year. What was being anticipated as a premium compact phone turned out to be a letdown. 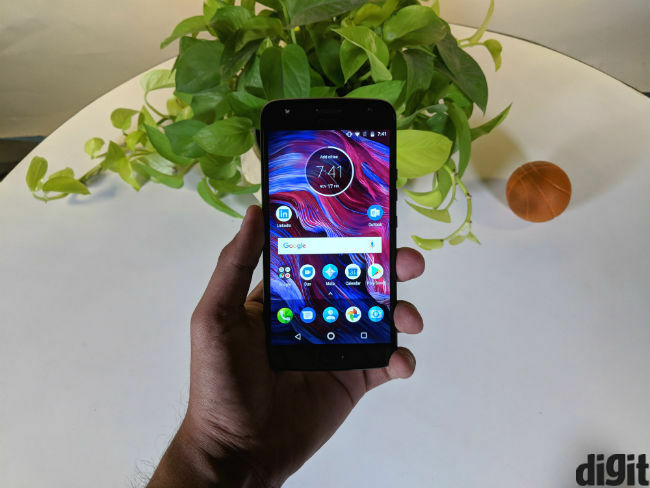 The Moto X4 (review) which sparked expectations from the Lenovo-owned Motorola to reignite the X-series was a big disappointment. 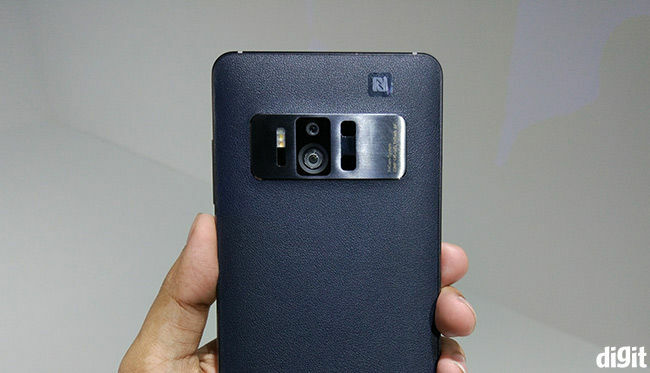 At the center of it all, was an underwhelming dual camera that deviated from Moto’s RGB+Monochrome setup for an LG-like Wideangle+Telephoto setup. With the wideangle mode, the Moto X4 produced distorted frames while the primary telephoto lens failed to capture a good dynamic range. But more than that, the Moto X4 has one of the slowest camera in the market today. The Moto X4 also failed to implement the trending features on smartphones this year — a tall bezel-less screen with support for HDR. The phone’s design also implemented dated features like a thick bezels, an ugly camera bump and more. Compact phones are suddenly in vogue this year thanks to displays shrinking down to take up less space, giving users the best of both worlds — a large display and a smaller form factor. And whatever reasons prevented Moto from taking advantage of this trend are the same for why it’s a disappointment. HTC’s woes with capturing a chunk of the smartphone market continued in 2017. It’s smartphone division even got acquired by Google. But the company’s last hurrah was both HTC’s best smartphone and one of the most disappointing this year. 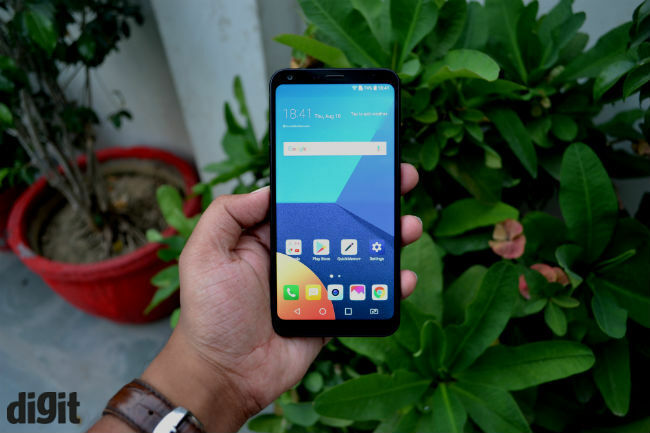 The phone launched at a price of Rs 51,990 revealing its ambitions, but it failed to provide future-facing features like support for HDR, blocky and old form factor, a lacklustre AI assistant and a rather useless new way to interact with the phone. The U11 (review) did get the basics right — The latest Snapdragon 835 SoC, 6GB of RAM and 128GB of storage. 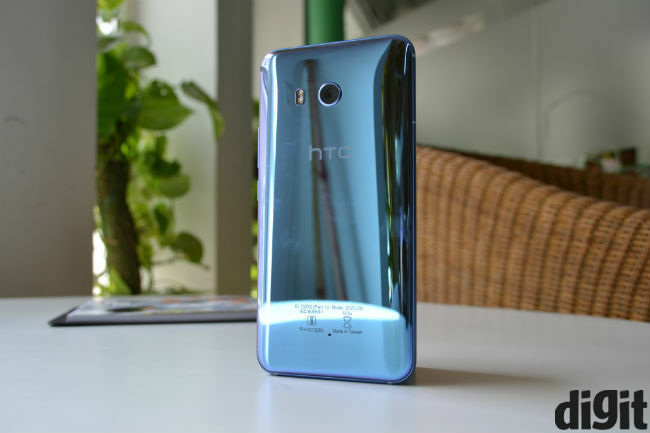 It also has a brilliant camera, but given a choice between this and the Galaxy S8 or even the OnePlus 5T, there was no reason to recommend the HTC U11. In 2017, we had old Nokia join the ranks of Android phones as the company was given a rebirth by Finnish startup HMD Global. The Nokia 6 was the chariot on which the iconic brand came back to life, but the phone itself has nothing in it for us to recommend. It runs on out-dated hardware, offers a sub-par camera and is overpriced for what it offers. 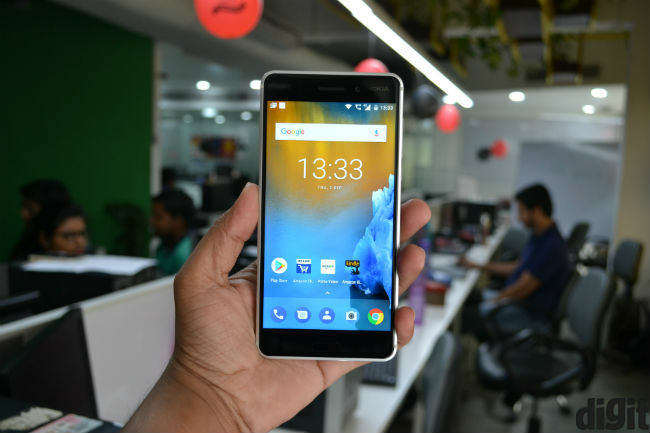 Moreover, the phone competes with mid-range budget phones like the Xiaomi Mi A1, the Moto G5 Plus and the likes, which make the Nokia 6 (review) look like an outdated warrior. It is indeed a warrior in terms of build quality alone. Nokia has maintained its reputation of making phones built like a tank. It also played the card of promising regular updates. But where it failed to dazzle is offering competitive hardware. The Nokia 6 is priced as a mid-ranger but runs on an entry-level chipset. Nokia returned with a lot of expectations this year, but frankly, its offerings have left more to be desired from the iconic brand. Asus thought it had one of the most futuristic offerings at the beginning of the year when it launched the Zenfone AR (first impressions) at CES, boasting high-end AR using Google’s Project Tango and VR using Google’s Daydream platform. Unfortunately, Google gutted the hardware-based AR project by the end of this year. Augmented Reality was given mainstream focus by Apple in the iOS 11 while Google rolled out its own software-based ARCore for normal phones, negating the need to own a phone mounted with special sensors altogether. The Daydream VR platform too wasn’t much of a success and the Zenfone AR was left stranded. At the time it launched, the Zenfone AR made sense. It had all the ingredients to compete with premium flagships but it took all but a few months to make it irrelevant. Such is the pace technology progresses these days. On paper, the LG G6 (review) seemed to do everything right. It boasted a full-screen, 18:9 display with support for HDR10, a solid build, a unique wide-angle camera and a polished hand feel. It was also one of the first phones to embrace the bezel-less design this year, just days before Samsung did with the Galaxy S8, in fact. But that was where it lost out. The LG G6 came out almost at the same time with as Samsung’s most good-looking flagship phone till date. The choice was obvious and LG’s fate was sealed. Also the fact that the LG G6 came with last year’s Qualcomm Snapdragon 821 worked against it, but more importantly, it was LG’s UI that left us disappointed. The UI was riddled with bugs in the form of app crashes, black screens and also lags and stutters. This brought a perfectly well-designed phone down to its knees leaving a big disappointed frown where the smile should have been. Blackberry’s mobile division was pronounced dead last year and TCL took up the task of keeping the brand alive in the market. But its first offering, the Blackberry KEYone (review) was dead on arrival. The phone’s USP is a physical QWERTY keyboard which used to be a rage back in the days of feature phones. Most of the real estate is taken up by a physical keyboard made of glossy plastic leaving just 4.5-inches for a display. The keyboard wasn’t a bad offering per se. It came with gesture support that made navigating the phone quite easy. However, its performance wasn’t at par with the premium flagship phones it competed against, at least in terms of price. 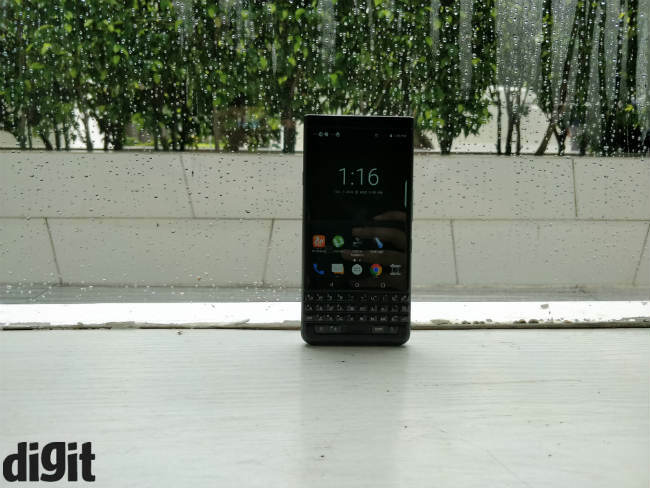 The KEYone came with mid-range grade processor but still relied on its old brand name to command a price of Rs 39,990 which made it a hard to phone to recommend to buyers.